﻿ Sustainable Water treatment in Hotels and Real Estates with the Merus Ring. What Merus can do in kitchen, laundry, air condition or the pool and wellness area. Of course also applicable to private homes. Water Treatment in big Buildings, Hotels and Private Homes. At home, at work or on holiday our needs concerning water supply are pretty similar. We need drinking water in the kitchen, clean sanitary facilities and bathroom (sometimes with pool or wellness area) and reliable heating or cooling for the building. To provide this some householders need to make great efforts. If the quality of the feed water is bad or the water stands still in the pipe for a long time three main problems can occur. Rust and corrosion is a big issue in some pipes or machines. The result is a brown color of the water. Mostly it is getting clear after some seconds. Nevertheless this is not a refreshing sight and doesn't boost the confidence in employer or the hotel. Secondly severe rust damages in the pipes might cause extensive renovation works. The Merus Ring lowers the corrosion rate in the system, which means addressing the problem of brown water at its source. 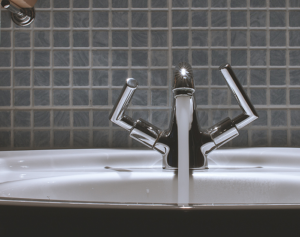 Limescale in the water can be a problem especially in the bathroom. Here it gets visible when the water evaporates and the limescale is left behind. It makes cleaning laborious and costly. It also reduces the lifetime of shower-head and other fittings. In some hotels the shower-heads needed to be exchanged twice a year before installing a Merus Ring. In systems like the fire sprinkler crusts of limescale can even become dangerous. If these are blogged due to deposits the water can't be flushed out to extinguish the fire. 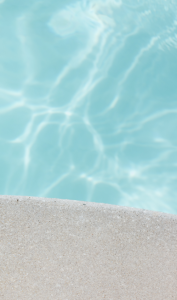 Avoiding health issues due to bacteria like legionella in the water is an important and costly task for hotels and householders. With a Merus Ring in a system these problems can be solved before they occur. The effect is sustainable. In the past years we have installed Merus Rings in several hundred hotels and countless private homes around the world. Please have a look at the following case studies to see if we have the right solution for you. If you are not convinced yet please don't hesitate to contact us. We solve and avoid problems with corrosion, lime scale and biofouling with the same method. In small houses we install one of our Merus Rings at the main water inlet (in bigger houses with several apartments, hotels more than one Merus Ring can be necessary). The installation doesn't affect the pipes because no direct contact between water and Merus Ring is needed. Similar to acoustic waves the Merus Ring emits oscillations through the pipe (to avoid misunderstandings: you will hear no sound and see no vibration). These are carried over to the substances in the water. The result is, that the solubility of foreign substances in the water is increased. This means that for example lime scale won't settle in the pipe but is flushed out with the water. Also the corrosion rate is decreased, so the inner pipe remains smooth and clean. The water gets clear again. If the inner pipe is smooth without deposits there is no habitat for micro organisms or bacteria. This means that they can not settle in the pipes anymore and will vanish over the time. 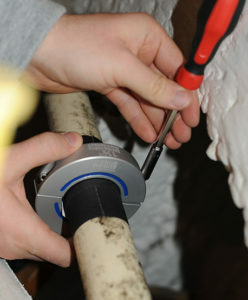 Thus installing a Merus Ring is also a method to prevent bacteria from multiplying in your pipes. If you have further questions concerning the Merus technology please follow the following links.